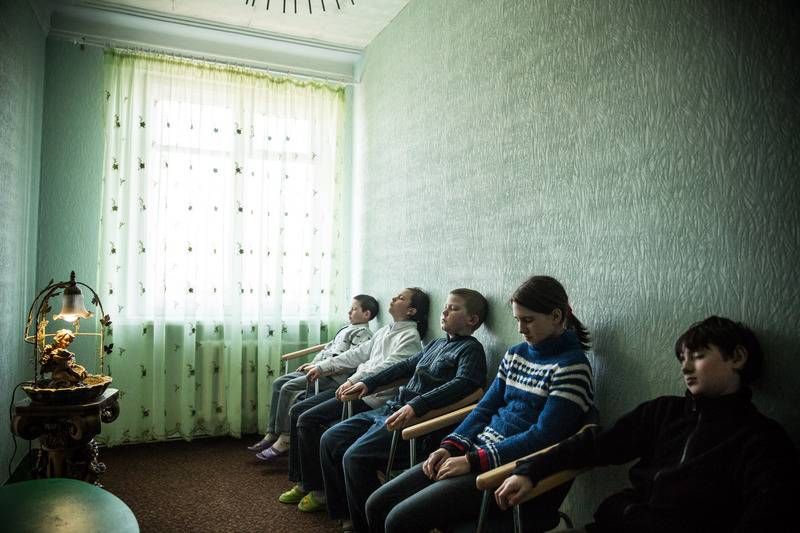 Students sit in an aroma therapy room at Torez Special Secondary boarding school #43 on February 27, 2015 in Torez, Ukraine. The school acts as both a school for local children and an orphanage for children who no longer have a place to live, some of whom have lost parents and homes to the conflict. The school receives assistant from pro-Russian rebels.